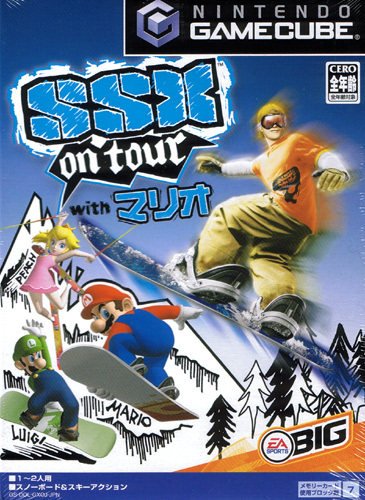 EA's savvy ski and snowboarding series gets a couple of bonus characters exclusive to the GameCube release in Mario, Luigi and Princess Peach. 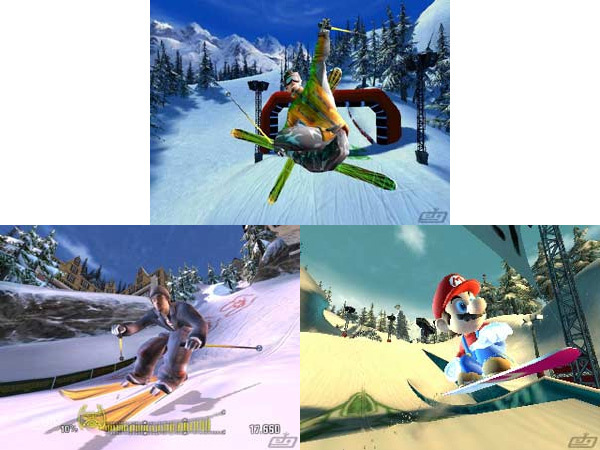 The cartoony look of the Nintendo big hitters assures SSX doesn't take itself too seriously despite looking like a CG demo during in game levels. 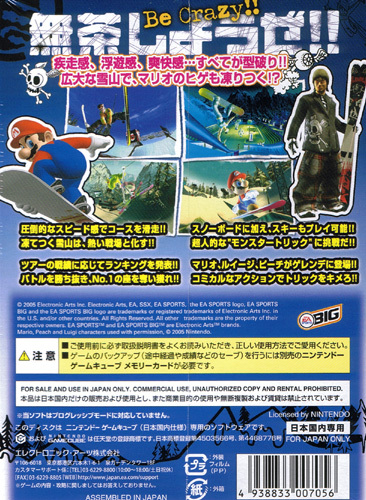 But in practise the Nintendo motley crew are the most agile of boarders (and nimblest of skiers in the case of Peachie.) Monies accumulated can be spent on equipment and runs vary with some mission based plus challenges such as finishing a set distance ahead of second place. With high velocity gameplay and the tightest of controls EA nearly attains the levels of zen like programming mastery usually only found in the haze of the Nintendo Temple, Kyoto.